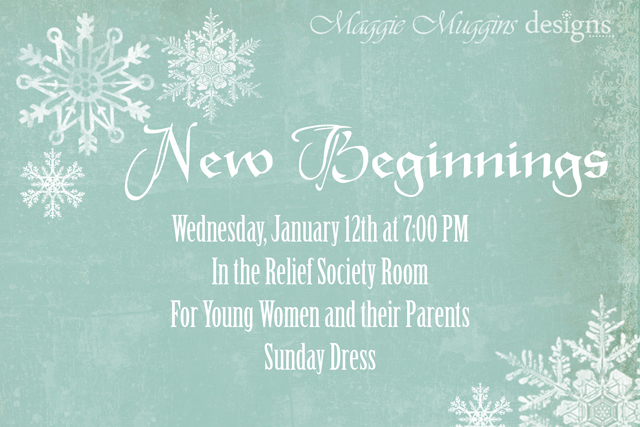 Once a year the Young Women celebrate "New Beginnings". It's the kind of event when new themes are introduced and parents, leaders and all the Young girls that are about to enter Young Womens are taught and re-taught about the purpose of the program. This year was beautifully done. I came home feeling uplifted, knowing the girls better than ever, and wishing with all my heart that the new Beehives (12-14 years) would enjoy the Young Womens program as much as I did. Why am I posting about this now and not back in January? I was just looking through my files the other day and found it. That's all. I love this! I would love it for my christmas cards :) Nice work!